The demand for chromium has been increasing globally due to its extensive use in metallurgical, chemical and leather tanning industries. Chromite (FeCr2O4) or ferrous chromic oxide is the only commercial source and the most important ore of chromium. India is the second largest producer of chromite in the world and has 98% of its total chromite reserves concentrated in the state of Odisha. Chromite is exported and used in the domestic market primarily for production of iron-chromium alloys (ferroalloys) which is used to make stainless steel and this accounts for about 85% of the total chromite demand. 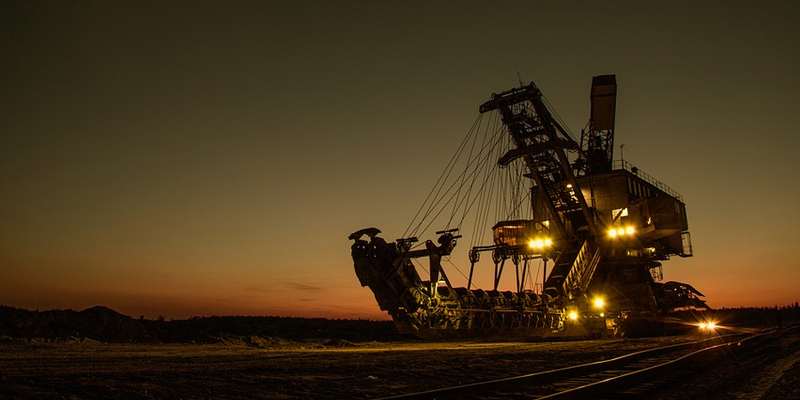 The mining of this commercially significant ore is on the rise in order to meet its rising global demand. Although it greatly contributes towards the country’s economic development, chromite mining also plays a role in the deterioration of the surrounding natural environment if adequate precautions are not taken. Thus, arresting the negative impacts of chromite mining on the environment is of great importance. How does chromite mining generate toxic effluent streams? Chromium naturally occurs in chromite ore in its most stable oxidation state, that is in the form of trivalent chromium (Cr3+). During mining, a fraction of this trivalent chromium gets oxidized by various complex physico-chemical and biological processes to hexavalent chromium (Cr6+), which is a highly toxic carcinogen. Most Cr6+ compounds are soluble in water and leach out easily into water coming in contact with the ore. Also, Cr3+ compounds which are usually insoluble in water, enter the water stream in the form of ore dust (suspended solids). Thus, water coming in contact with the chromite ore gets contaminated with chromium in the highly toxic hexavalent state as well as in the relatively harmless trivalent state. The combined concentration of hexavalent and trivalent chromium in the mine effluent is referred to as total chromium concentration. Mine drainage water: In opencast chromite mines, mining is often carried out at a depth below ground water table, resulting in seepage of ground water into the mine pit. With the increase in depth of the mine, the volume of seepage water contaminated with Cr6+ increases. Washing from ore beneficiation: Many mines also have chrome ore beneficiation plants, where the ore is washed and sorted to concentrate the chromium content in the ore. The effluent generated from ore washing also contains hexavalent chromium leached from the ore. Surface runoff: Opencast chromite mining generates enormous quantities of overburden (OB). The surface runoff from these overburden dumps generated during monsoons not only contains the leached Cr+6 from the overburden but also high suspended solids. It must be managed and treated properly before being let into surface water bodies to avoid siltation and chromium contamination. 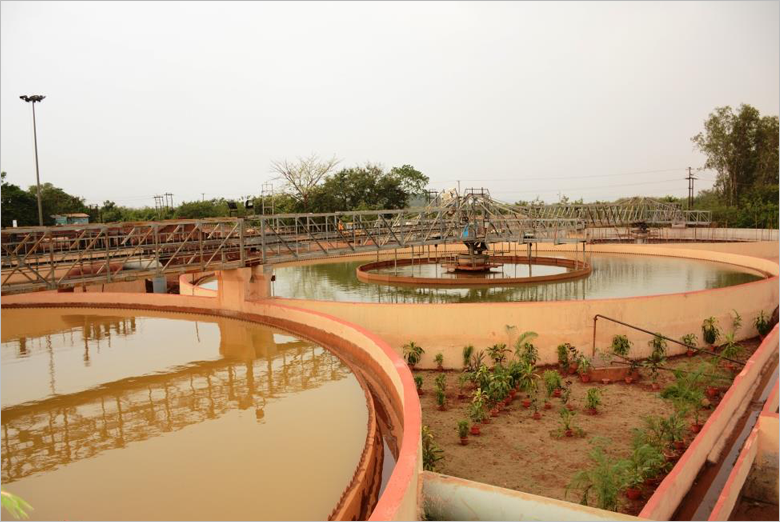 The chromite mining effluent in Odisha typically has a hexavalent chromium concentration of 2 to 5 mg/L, as against a safe limit of 0.05 mg/L for human consumption. If hexavalent chromium laden effluent is released untreated, it can severely contaminate the nearby water bodies and pose a threat to the biotic community in the vicinity. Thus, establishment of effluent treatment plants for chromite mine wastewater treatment is essential in order to reduce the chromium concentration below permissible limits before its release from the mines. 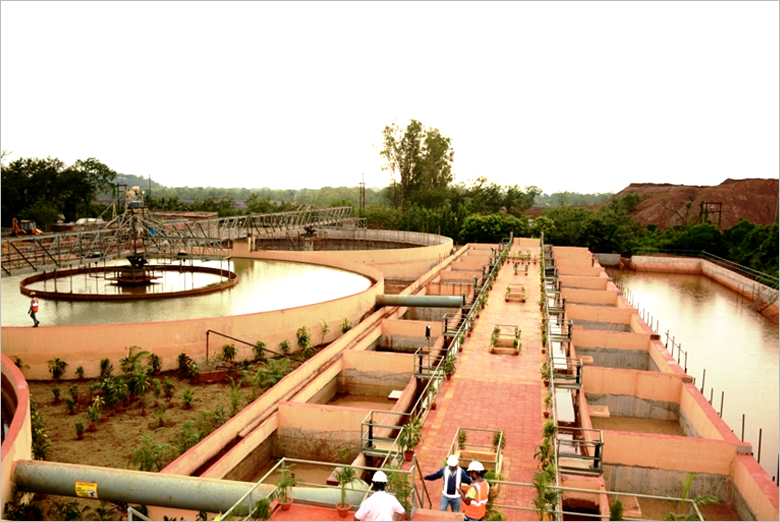 How has Effwa helped chromite mines in India manage their effluent? Pre- treatment: Pre-treatment of the chromite mine effluent is done to remove large solids/grit to prevent damage to downstream units. Reduction of Cr6+ to Cr3+: The hexavalent chromium, a strong oxidizing agent is readily reduced to trivalent chromium by addition of a strong reducing agent like ferrous sulphate (FeSO4) in an acidic environment. Simultaneously, the ferrous ion (Fe2+) is oxidized to ferric ion (Fe3+). Low pH (3 to 4) may be maintained by adding an acid (Sulphuric acid or hydrochloric acid). Precipitation of Cr3+ in the form of chromium hydroxide: In the next stage, an alkaline reagent like Sodium Hydroxide (NaOH) or Lime (Ca(OH)2) is added, which results in a pH of 8 to 8.5 , at which the Ferric ion and Chromium ion get precipitated jointly as Ferric Hydroxide [Fe(OH)3] and Chromium Hydroxide [Cr(OH)3] respectively. To aid the flocculation, a flocculant (polyelectrolyte) may be added prior to clarification in clariflocculator. The precipitate accumulated at the bottom of the clarifier/clariflocculator is scraped, withdrawn and collected. The withdrawn sludge is dewatered before being disposed of appropriately. If economically viable for the mine owner, chromium may even be recovered from the sludge. Filtration of supernatant from clarifier/ clariflocculator: The supernatant drawn from the clarifier/ clariflocculator may then be filtered for further removal of suspended solids in rapid gravity sand filters or multigrade pressure sand filters. Usually the filtered water quality meets the requirements as per Central Pollution Control Board norms; however, further polishing may be done if desired by providing an ion exchange resin column (optional step). Recycling of treated effluent: We always encourage our clients to recycle the treated effluent for uses like ore washing in ore beneficiation plant, dust suppression in the vicinity of the mine, backwashing of filters employed in the ETP, dilution of chemicals required in the ETP etc. 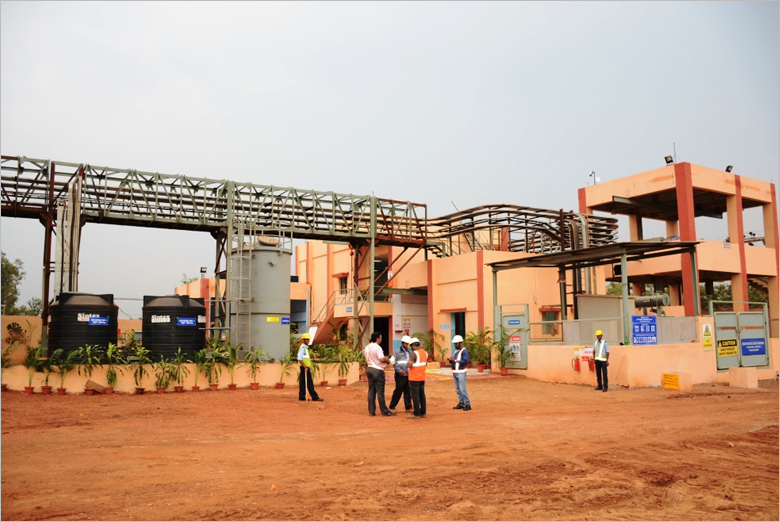 Effwa has provided a complete solution for treatment and recycling of effluent to various chromite mines in Odisha and has led to an overall improvement in the surrounding environment. 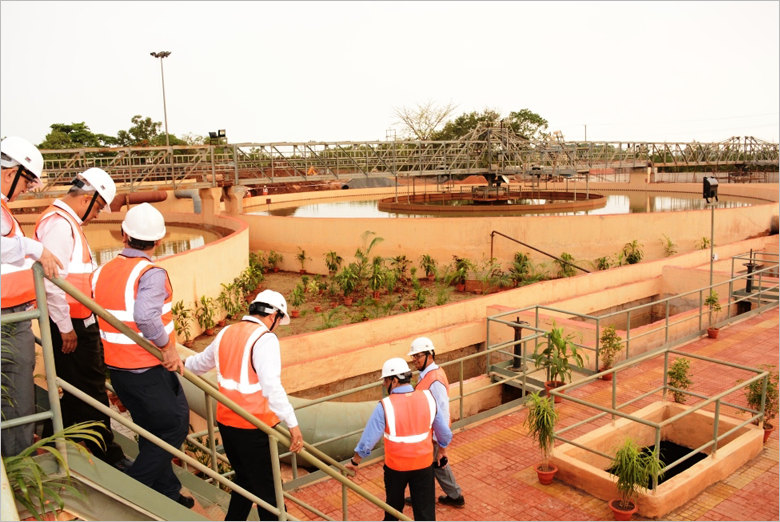 We are proud to say that we have delivered one of the largest single-location Effluent Treatment Plants in India for Tata Steel Ltd. in Sukinda Chromite Mines. The various chromite mines that have benefited from our services are enlisted hereunder. Interested in a Modern Effluent Treatment Plant for your mine? Shravani contributes to team Effwa as Management Executive. After having earned the James Berkley Gold medal for her excellence in Civil Engineering from the University of Mumbai and completion of M. Tech. 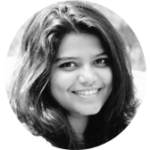 in Environmental Engineering from Indian Institute of Technology Guwahati, she now works with team Effwa towards solution formulation for various complex environmental issues of the 21st century.